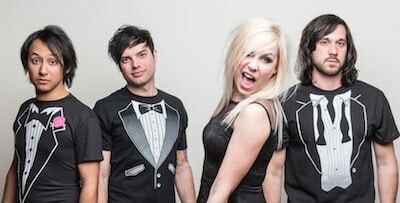 For our next Reverbnation spotlight, we chat to The Nearly Deads’ Theresa Jeane about music and inspirations. T] “I have so many! Billy Joel, Avril Lavigne, and Christina Aguilera when I was younger, then I got introduced to punk- The Distillers, Alkaline Trio, The Used, Taking Back Sunday, Brand New, and My Chemical Romance. I also love Hole, The Pixies, and Garbage.